Michell Bearings has two ranges of horizontal bearings. The industrial horizontal (IH) series is a modular range covering shaft diameters from 280mm to 1000mm. The heavy duty (HD) series is specifically designed for applications involving high thrust loads and covers a shaft range from 300mm to 500mm. We can offer bespoke bearing solutions to suit individual project requirements, where required. 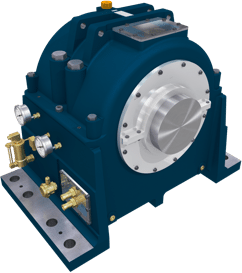 The Michell Heavy Duty (HD) Series is a modular range of high capacity horizontal shaft thrust and journal / journal bearings covering a shaft range from 300mm to 500mm across 2 frame sizes. 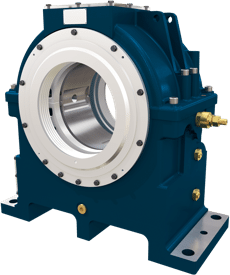 The Michell Industrial Horizontal (IH) Series is a modular range of horizontal shaft thrust and journal / journal bearings covering a shaft range from 280mm to 1000mm across 11 frame sizes.